The photo that Cameron posted with Eliza also included Whitney Sudler-Smith and Landon Clements at a polo match which makes me believe that this girl is at the very least appearing on the show. I’ve always found the casting for this show to be a little weird since there is a wide age range of people and it just seems like the friendships are all random, so it’s not shocking to me that FitsNews reports that Eliza is only is only 19. But then again, a big part of this show centers around the cast at drinking events, so I’m not sure how that’s going to work. I’m just hoping that she gets with Thomas because I feel like that would make some great TV. But anyway, Liza is the daughter of Chip Limehouse who is a member of the South Carolina House of Representatives. He has a polo team called Limehouse Produce which Eliza plays on, which makes sense since that’s where Cameron’s Instagram photo took place. I have no idea how Eliza fits into this group, but I am obviously intrigued. 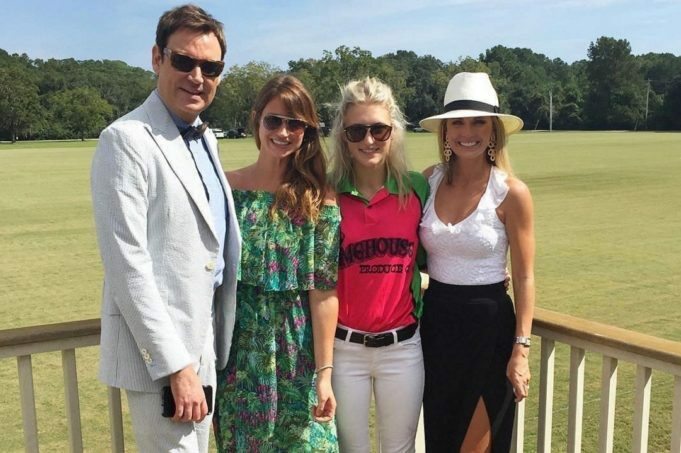 TELL US- DO YOU THINK SOUTHERN CHARM NEEDS TO SHAKE UP THE CAST? OR LEAVE THE SHOW AS IT IS? WILL YOU BE UPSET IF KATHRYN DOESN’T RETURN?